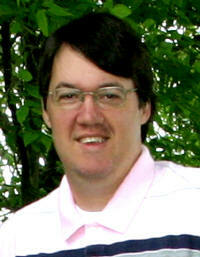 John B. Colvin, Jr., 32, of Trenton, died Sunday, March 29, 2009 at St. Joseph Hospital in Breese. He was born August 1, 1976 in St. Louis, MO to Elaine (Rakers) and John B. Colvin, Sr.; they survive in Trenton. Aunts and Uncles, Bonnie (Rob Mclean) Weinacht of Highland, Paula (Dale) Peek of Aviston, Jane (Marvin) Hollenkamp of Aviston, Joan (Jay) Blair of Manito, and Harry (Marty) Colvin, Jr. of Farmington, MO and numerous Cousins and friends. Preceded in death by his Paternal Grandparents, Doris (Buff) and Harry Colvin, Sr.
John graduated from Mater Dei High School in 1995 and received his Associates Degree in Business Management from Kaskaskia College. John worked as a cashier at the Home Depot in O’Fallon and was a former student manager and current Statistician for the Mater Dei Football Team. He was also an avid Cardinal fan. Memorial Mass will be Thursday, April 2, 2009 at 10:00 AM at St. Mary Church in Trenton with Fr. Gene Kreher officiating.